WASHINGTON: The United States will send an observer to an Afghan peace conference that begins in Moscow on Friday but it will send a high-level delegation to another Afghan conference in Geneva later this month. “In coordination with the Afghan government, the US embassy in Moscow will send a representative to the working level to observe the discussions,” said US State Department’s deputy spokesman Robert Palladino. In a separate statement, State Department Spokesperson Heather Nauert said that Washington is sending Principal Deputy Assistant Secre­tary Alice Wells to Geneva to prepare for another international conference on Afghanistan, on Nov 27 and 28. Responding to a question about the Moscow meeting, Mr Palladino said the United States believed that all countries should support direct dialogue between the government of Afghanistan and the Taliban to reach an end to the war. “We’ve been clear that no government, including Russia, can be a substitute for the Afghan government in direct negotiations with the Taliban,” he added. Ms Nauert said Ambassador Wells was sent to Geneva to discuss preparations for the Geneva Ministerial Conference on Afghanistan. 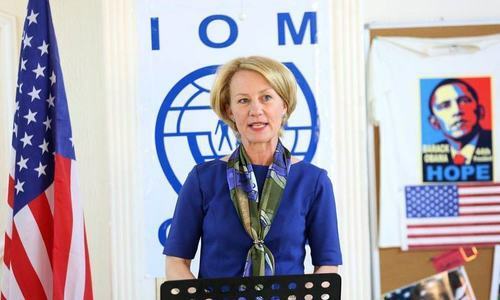 The conference in late November will be an opportunity for the Afghan government to report on the progress it has made in implementing key reforms that will bring the country closer to peace and self-reliance, she added. With over 60 of Afghanistan’s international allies scheduled to attend the Geneva conference, the US hopes that the meeting “will send a strong signal of the international community’s resolve and commitment to ending Afghanistan’s decades-long conflict,” Ms Nauert said. 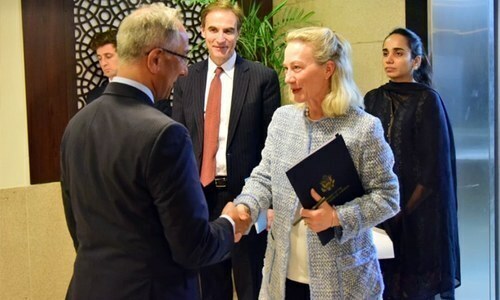 Last week, Ambassador Wells visited Afghanistan and Pakistan, where she met senior officials of the two countries and discussed with them the ongoing US and international support to promote long-term peace, security, and stability in Afghanistan and the region. An official US statement, released on Tuesday, said the upcoming Geneva Conference on Afghanistan and joint efforts to advance the Afghan peace process were the two key items Am­bassador Wells discussed with Pak­istani officials in Islamabad on Nov 6-7. The United States is playing a key role in organising the Geneva Ministerial Conference, and hopes that it will underline international support for Kabul’s efforts to peacefully end the Afghan conflict. Pakistan also supports the move and is likely to participate. The Geneva conference will follow a 12-nation meeting in Moscow on Friday. 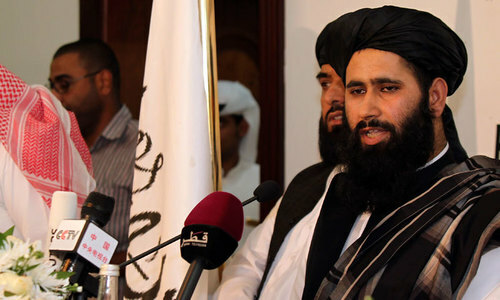 Both Taliban and Afghan governments are sending their representatives to Moscow. Moscow has also invited representatives from the United States, India, Iran, China, Pakistan and five former Soviet republics in Central Asia — Kazakhstan, Kyrgyzstan, Tajikistan, Turkmenistan and Uzbekistan. Foreign Office spokesman Moham­mad Faisal told journalists in Islam­abad earlier this week that “Pakistan will definitely attend” the meeting.